When it’s time for that big job interview, don’t get thrown off-guard when an interviewer uses fashion terms you don’t know. Make sure you’re familiar with the common fashion terminology listed below. You might even try using some yourself to really impress! Fashion Illustrations: Used most often in fashion design portfolios, these stylized fashion figure drawings are what most people think of when talking about “fashion design”. While fashion schools focus heavily on fashion illustrations, they are rarely used by designers in the apparel industry. Despite this, fashion illustrations are still used in fashion design portfolios, because they demonstrate a fashion designer’s sketching skills and individuality, adding a “wow” factor to their presentation. Mood Board: Used often in fashion portfolio layouts, a fashion mood board is placed at the beginning of each design group and contains images, fabric swatches, trims, and other findings, which express the mood, inspiration and color story for the collection of apparel designs that follow. Flats: Flat sketches, better known in the fashion industry as “flats”, are black and white fashion technical drawings that show a garment as if it were laid “flat” to display all seams, hardware, and any other design details. While they can be drawn by hand, nowadays fashion flats are usually sketched using computer software such as Adobe Illustrator. Always included in design packages and tech packs, they serve as an important reference for patternmakers, merchandisers, as well as production and sales teams, and manufacturers. Flats are an absolute must in every apparel design room. Line Sheet: A fashion line sheet is a reference guide used by salespeople and buyers when discussing and presenting am apparel collection to buyers. Typically, several garment styles are listed on one page and the following information is included for each style: a black and white flat sketch, style number, season, price, delivery date / order cut-off date, color, and fabric information. Fashion line sheets usually contain actual fabric swatches as well. CADs: Fashion CADs, (Computer Aided Designs) are computerized, color rendered, flat sketches that simulate the appearance of an actual garment. As a basic rule of thumb, the more realistic the CAD sketch is – the better. CAD sketches are often used as visual aids during sales presentations, and can serve as a sample substitute when an actual sample is not yet available. They are often sent to buyers for visual references. Presentation Boards: Most fashion presentation boards are simply CADs, except they are presented in a nicer layout. Usually including fabric swatches or artwork, they are preferred by most sales people for presentations. Even when real samples are available, they add variety to an already existing style. Specs: Sample specifications or “specs” are garment measurements and details that are included in design packages and tech packs. Many apparel specs are shown along with fashion flat sketches, and are important to sample development. Tech Pack: Also known as design packages, tech packs are vital to the garment production process. Usually they contain fully detailed fashion flats and specs, topstitching and hardware details, any necessary artwork layouts, and basically any other information required to produce a sample garment. Tech packs are sent to factories to make apparel samples for approval. Fits: Fits, or garment fittings, is the process of making sure a sample garment meets all necessary measurement and detail specifications to achieve the desired fit. Conducted by technical designers, the apparel fitting process involves measuring a sample garment, checking all hardware, topstitching and details, and communicating any necessary comments or revisions with factories. Grades / Grading: When the fit of a sample garment is approved, a size grade will be sent to the factories to begin production. A size grade is a chart containing measurements for the ordered size range of an approved style. 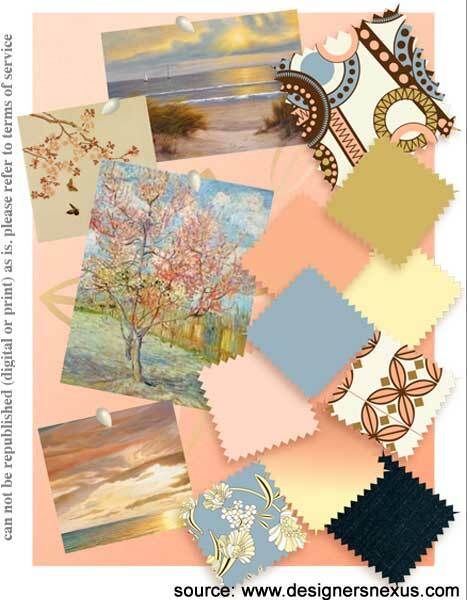 Color Card: The specific color themes used in each season’s fashion line are chosen from color forecasting services. Color cards are then assembled for fashion presentations, combining forecasted colors with standard popular selling colors. Yarn Dyed: Fabric that is woven with yarns that were dyed before weaving. Most good quality fabrics are yarn dyed. Piece Dyed: Fabric that is dyed in a vat by the bolt (full piece) after it is woven. Lab-dips: Lab dips are conducted by factories to provide a visual aid of how a color will look when it is dyed. Since the lab dip is produced in a beaker and is not an actual production run, the actual production sample will vary from the lab dip that is provided. When the goods are dyed in a real production run, the conditions are dramatically different from the laboratory. Production does not begin on fabric unless a lab dip is approved or the customer waives the lab dip process. Textile Design: Quite often in the apparel industry, fashion designers are involved in the process of creating textile designes, which is artwork for prints, plaids, or stripes to be used in fabric development and production. Strike-off: A test sample of printed fabric made to show and verify color and pattern before entering into production on larger quantities. Pitch Sheet: A pitch sheet shows a full repeat of a textile design and contains samples of the individual colors included in that print. Pitch sheets are used by factories to produce strike-offs for approval.